Boca Raton Football Club continues to steamroll past the competition. 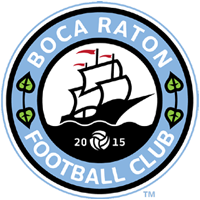 On Saturday, Boca Raton defeated newcomers Miami Storm FC 6-1 at FIU Stadium to give them the table lead in the 2015 APSL Fall Tournament. Although not the official APSL Season, the Fall Tournament was created by the league in order to keep players fit, and ready to play, especially with the U.S. Open Cup Qualifying Rounds coming up in the next few weeks. Boca Raton got the scoring going early when Stefano Bontempo made it 1-0 five minutes after the first whistle. Boca Raton doubled the score in the 32nd minute when newcomer Xavier Silva but Miami Storm was able to get one goal back in the 44th minute to cut the lead to one. Boca Raton dominated the second half with over 70% of the ball possesion and the goals to show for it. It started early when C.J. Phelps found Xavier in the middle and launched a perfectly-placed ball on his feet for Xavier’s second of the game, and fourth in two games. Later in the 68th minute, Scott Gordon, who returned from suspension to play in his first match for his hometown club, cut through the Strom defense and was able to tap the ball into the goal for his first of the tournament and first wearing a Boca Raton FC jersey. Boca Raton FC wasn’t done, the club was able to exploit a weak Storm right side and caught the defense off-guard as Shadi Harb was able to head home his first of the tournament. Nickardo Blake later gave Boca Raton more of a cushion when he burried a goal after blasting though the Strom defense to give Boca the 6-1 lead. Boca Raton returns to action this Saturday at FIU Stadium (north campus) where they take on South Florida FC at 6pm on Saturday.